You can help make Montclair Village a safer place! Donate Today - $50 or $100, or any amount that you are comfortable with to help ensure a safe and secure Village experience for all! The MVA is raising money to help increase security for visitors, patrons and merchants in Montclair Village by installing security cameras in public areas. Our goal is to install cameras at intersections and along the streets and pedestrian ways of Montclair VIllage. Images from these cameras will be used to combat and deter crime in the Village and help us ensure the safety and security of all those who live, work or shop in Montclair. Lucky California has kicked off the program with a $10,000 donation. This will pay for 2-3 high quality installations capturing images that have already proven to lead to arrests. We need to install in another 2-3 locations and need your contribution to achieve a comprehensive coverage plan. Reaching this $5,000 goal will allow a significant amount of the streets and sidewalks to be covered. We remain committed to protecting personal privacy. Our security campaign will follow industry best privacy practices pertaining to the collection, use and storage of information. While any donation is greatly appreciated, please consider contributing at the $50 or $100+ level to help us quickly reach our goal. Thanks in advance for supporting Montclair Village in this important cause! 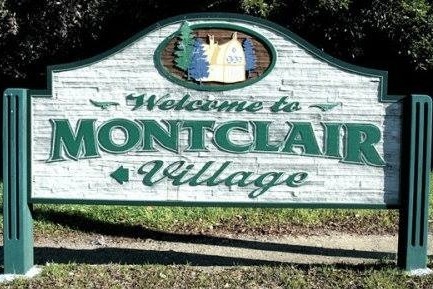 More information about Montclair Village Association: The Montclair Village Association (MVA) is a Business Improvement District and 501ciii non profit made up of approximately 230 retail and service businesses located in Montclair Village commercial district. The MVAs mission is to support its merchant members, and to help the Village thrive.